Maestro Lu Jia has risen to international acclaim with his expertise and soul-touching interpretation of symphonies and operas for decades. Lu is now the Music Director and Principal Conductor of the Macao Orchestra, while also serving as the Opera Director at the National Centre for the Performing Arts (NCPA) in Beijing and the Principal Conductor of the China NCPA Orchestra. His interpretation of the Austro-German symphonies, operas and French impressionist music have been unanimously approved and applauded by audiences and professionals from the originating countries of these masterpieces. He conducts dozens of concerts and over ten operas in music halls and theatres all over the world and directs production of several new works and operas every year, with these captivating performances becoming an indispensable cultural indicator of those places. The music career of Maestro Lu Jia inherits the excellent artistic traditions of the East and West. Born to an artistic family in Shanghai, he studied music with his parents from childhood. Later, teenage Lu went to Beijing and studied conducting under the famous Chinese conductor Zheng Xiaoying in the Central Conservatory of Music. Out of his strong enthusiasm for music, he continued his studies in the Hochschule der Künste Berlin in Germany (now UdK Berlin), studying under Professor Hans-Martin Rabenstein and Professor Robert Wolf. In 1990, most unexpectedly, Lu participated in the first Antonio Pedeotti International Conducting Competition in Trento, Italy, and won the First Prize and the Judges’ Prize, which started his conducting career. After the competition, he began to serve as music director of the Teatro Comunale Giusseppe Verdi di Trieste, where he became the first Asian conductor to serve as director of a national opera house in Italy. In co-operation with the orchestra and chorus of the company, he was the first Chinese conductor to record and release the complete five symphonies works of Felix Mendelssohn. Later, he was appointed as the music director and principal conductor of Opernhaus Dortmund in Germany, l’orchestra di Toscana in Italy, l’orchestra international d’Italia, l’orchestra di Roma, the Norrkoping Symphony Orchestra in Sweden, and world-famous Arena di Verona, among others. Lu recorded and released the entire orchestral music of the doyen of Swedish composers, Ingvar Lidholm, with the Norrkoping Symphony Orchestra, and these works remain the most complete recordings of Lidholm’s work to date. In 2006, the Italian President Giorgio Napolitano conferred a medal to Maestro Lu as recognition for his significant contribution to music for many years. A year later, the La Gazza Ladra conducted by Maestro Lu at the Pesaro Rossini Opera Festival was acclaimed the ‘Best Opera of the Year’ in Europe. Over the past decades, he has been a guest conductor with many world leading orchestras and opera houses, leading thousands of operas and concerts and releasing dozens of records; he has also developed a close friendship with renowned artists such as Placido Domingo, Valeriy Sokolov, Joshua Bell and Viktoria Mullova. Lu was the first Chinese conductor ever to lead the Chicago Symphony Orchestra and has cooperated with the Bayerische Staatsoper in Munich, the Deutsche Oper Berlin, La Scala in Milan, the Leipzig Gewandhaus Orchestra, the Bamberg Symphony, the Orchestra dell’Accademia Nazionale di Santa Cecilia in Rome, the Lyon National Orchestra in France, City of Birmingham Symphony Orchestra in Britain, Oslo Philharmonic in Norway, the Finnish Radio Symphony Orchestra as well as all the major Chinese orchestras. In 2013, he conducted a concert with the Royal Concertgebouw Orchestra at the Beijing National Centre for the Performing Arts, which received enthusiastic acclaims from the audience. In addition to conducting, he was among the jury board for Plácido Domingo’s Operalia, The World Opera Competition in 2012, making him the first-ever Chinese jury in this influential opera competition. In 2017, Maestro Lu Jia was one of the overseas representatives attending the CPPCC National Conference, and on May 14 he directed the concert dedicated to the 1st “Belt and Road Summit held in Beijing, with a performance highly praised by both Chinese and foreign leaders. In 2017, he received the Great Wall Friendship Award from the Beijing Municipal Government for his outstanding contributions to the city in 2014, 2015 and 2017. 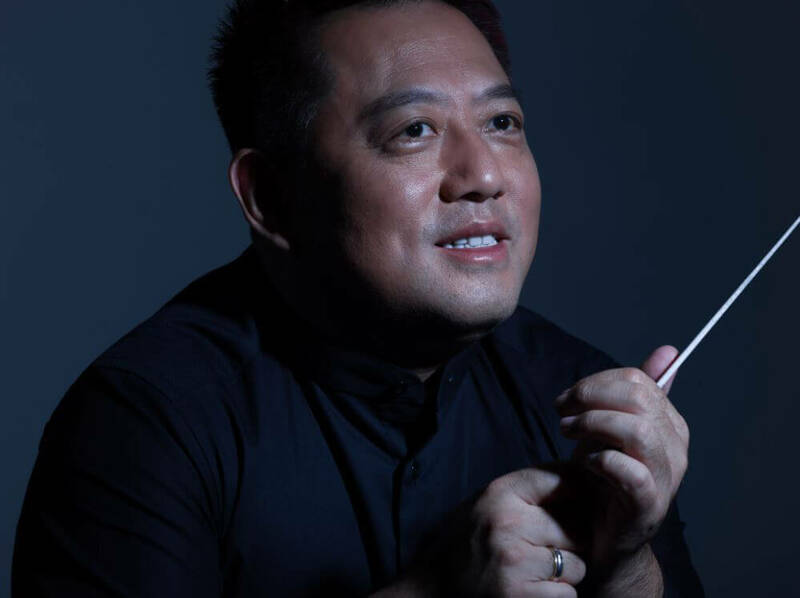 Since his tenure as Music Director and Principal Conductor of the Macao Orchestra in 2008, Maestro Lu Jia has propelled the orchestra to notable new heights with meticulous training, refined arrangement of programme repertoires and strict selection of guest artists in cooperation. He has for many times led the orchestra on tour in Austria, Switzerland, Portugal, Japan, Korea and Taiwan, plus regular concerts in China’s major cultural capitals such as Beijing and Shanghai to expand Macao’s cultural influence and lift the orchestra’s reputation in the world. He also spearheaded collaboration between the Macao Orchestra with other world famous orchestras and choirs to stage large-scale musical works which would have been impossible in the past and thereby introducing brand new offerings to local audience. It is Maestro Lu’s great honour and pleasure to contribute to the cultural development of Macao. He hopes to further serve the community and continue to lead the orchestra as the cultural ambassador of Macao, enabling the world to recognise Macao’s charisma in art and culture whilst promoting Macao’s cultural image to the world.